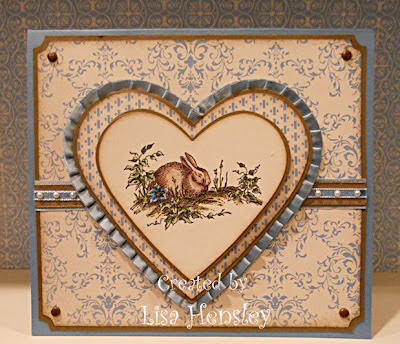 I love Tender Toile -- it's one of my all-time favorite sets! I made this as a Valentine's Day card for my daughter, who desperately wants a rabbit. Needless to say, this is the ONLY rabbit that she'll get to keep in my house! Lisa, you are a true artist! Such a beautiful card.